Police shirt of 65% dacron, 35% cotton, in poplin weave with permanent press finish and soil release. 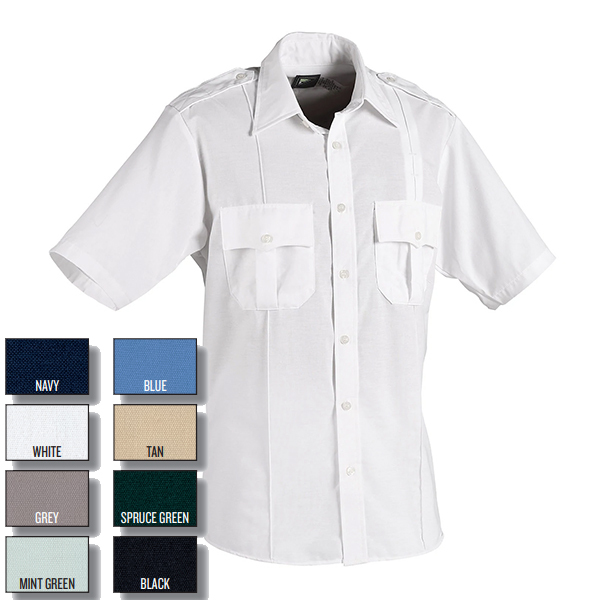 This USA made shirt is attractive while being rugged and durable. It sports a placket front with sewn in creases, two scalloped pocket flaps, box pleated pockets with pencil pocket on left, sling badge tab, shoulder straps and form fit full length body.